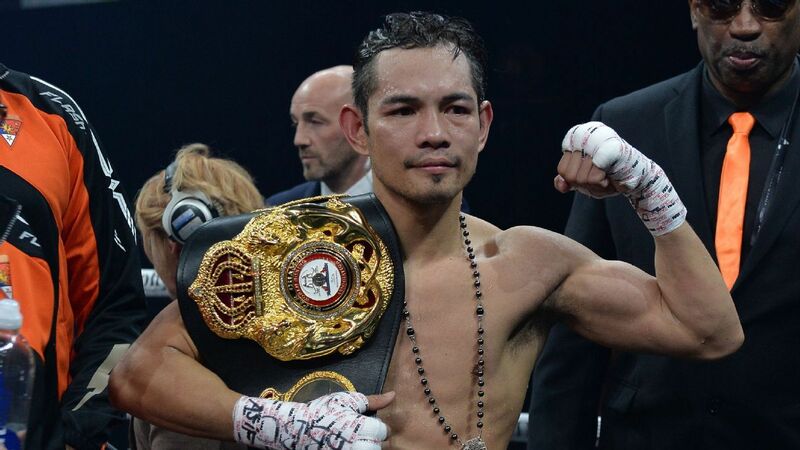 Nonito Donaire is back on top and he was hoping to unify two bantamweight titles Saturday. An injury to his opponent will prevent that, but the four-division world titleholder is still looking for a place in the WBSS final with a win. Daniel Roman will face TJ Doheny in a title unification bout in his hometown of Los Angeles, and those who know Roman will tell you that more success won't change him. Robert Easter Jr. wants to leave the loss to Mikey Garcia in the past by going back to basics: training at home -- with his father in the corner -- and focusing on nothing but his next opponent, former two-division world titlist Rances Barthelemy. Former world welterweight champion Jeff Horn says he would love an opportunity to fight Mexican superstar Canelo Alvarez and prove to everyone he is no one-fight-wonder. Looking to watch the heavyweight title fight between Daniel Dubois and Richard Lartey on ESPN+ on Saturday? Here's how to do it. Junior lightweight Abraham Nova (14-0, 10 KOs), 25, a Puerto Rico native who lives in Albany, New York, who has a reputation for a crowd-pleasing style, has signed with manager Tim VanNewhouse and Split-T Management. Nova’s first fight of the deal will come when he headlines a card being put on by his promoter, Murphys Boxing, at the MGM Springfield in Springfield, Massachusetts, on May 10 (UFC Fight Pass). He will face Mario Ezequiel Sayal Lozano (18-1, 9 KOs), 24, of Argentina, in a 10-rounder. Amit Panghal (52kg) won his second successive gold medal of the year while Deepak Singh (49kg) won silver at the Asian Championships on Friday. Weights for the Matchroom Boxing/DAZN card on Friday night at The Forum in Inglewood, California: Srisaket Sor Rungvisai 114.2 pounds, Juan Francisco Estrada 114.6 (rematch for Sor Rungvisai’s junior bantamweight world title), Daniel Roman 121.2, TJ Doheny 121.8 (junior featherweight world title unification), Jessie Vargas 150.4, Humberto Soto 150.4. Lightweight Devin Haney, No. 7 on the 2018 ESPN top prospect list, signed on Thursday with Matchroom Boxing promoter Eddie Hearn. The unbeaten Haney, 20, of Las Vegas, will make his Matchroom debut on the Oleksandr Usyk-Carlos Takam undercard on May 25 (DAZN) at the MGM National Harbor in Oxon Hill, Maryland, where he will face Antonio Moran, 26, of Mexico. Haney’s own promotional company had been promoting him and will continue as a co-promoter of his fights. Unbeaten featherweight titlist Oscar Valdez’s opponent for his sixth defense, slated for June 8 in the main event of a Top Rank Boxing on ESPN card in Reno, Nevada, will be Erick Ituarte, 24, a Mexico native based in Santa Ana, California, sources with knowledge of the fight told ESPN on Thursday. The deal is not yet signed but was termed as “being finalized.” Valdez, 28, of Mexico, returned from a badly broken jaw Feb. 2 to stop Carmine Tommasone in the seventh round. Ituarte, who is promoted by Thompson Boxing, was idle for 11 months due to a back injury but returned for a lopsided 10-round decision win April 19 in Ontario, California. Ituarte has won 14 in a row since his lone loss, a six-round decision in 2014. Heavyweight Daniel Dubois, 21, the blue-chip British prospect, thought he would be in need of a new opponent on very short notice. However, after Richard Lartey, of Ghana, resolved his visa issues, the main event on Saturday (ESPN+) is still on.